Even if the West undertakes no obligations vis-à-vis the Rest, the principles upon which it is built suggest some responsibility, writes Mykola Riabchuk. 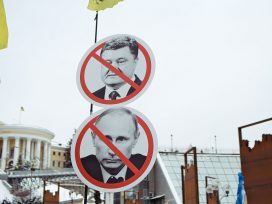 Ukrainians are particularly wary of the Realpolitik that dominates western dealings with Russia. Whatever one thinks about the “centuries old affinity” between Ukraine and Russia, any policy that downplays the issue of values is fundamentally flawed. There are two different meanings of the “Molotov-Ribbentrop Agreement” that largely reflect a substantial civilizational gap between western and eastern Europe – the gap that results from different experiences, memories, and attitudes towards the past and, consequently, towards the present. In the West, it is primarily a historical fact, an event that occurred on 24 August 1939, in Moscow, and paved the way to the partition of eastern Europe between the Nazis and Soviets and, eventually, to the Second World War. Its prehistory and consequences are mostly subjects of historical research but barely of mass interest, artistic exploration, or collective soul-searching. In the East, it is a metaphor of the region’s vulnerability, history’s ruthlessness, and the cynicism of the great powers. First and foremost, however, it is a metaphor of betrayal. In this respect, it fits alongside a series of other events that have various historical meanings for westerners, but the same moral (or rather immoral) symbolism for easterners: Munich, Yalta, and so on. Each eastern European nation has its own list of historical injuries, grievances, and complaints against the West – from the late eighteenth century partition of Poland to the 1936 Olympic games, which took place despite large-scale anti-Jewish pogroms in Germany; from the Entente’s sacrifice of Ukraine’s independence to the Poles and Russians in 1918-1919 to the tacit acceptance of the Russian occupation of Georgian territories by the EU and Nato in 2008-2009. Some of these grievances may look odd and poorly substantiated, but all of them reflect a particular historic experience that should be acknowledged in the West. Otherwise the civilizational gap will widen, bringing about further mistrust and misunderstanding. Once again, westerners will be puzzled by the “irrational” nervousness of the Poles, Ukrainians and Balts about Russian “assertiveness”, and about western appeasement of the “asserters”. And once again, they will be frustrated by easterners’ “blasphemous” attempts to put Nazism and Communism on equal footing. Westerners know Communism mostly in theory, where it certainly looks much brighter than the ugly racist ideology of the Nazis. But easterners know both regimes primarily in practice – where, in methods of extermination of “enemies” or in ultimate results, they differed little. The first question looms large: Why do eastern Europeans still look to the West and expect so much from westerners – despite numerous disappointments, neglects, and real and perceived “betrayals”? Why do they believe the West should take care of them and should, sometimes, sacrifice its own interests for the dubious interests of its eastern neighbours? The first part of the question is easy to answer. All the small eastern European nations had been squeezed historically between eastern and western powers and had little choice but to look for a lesser evil. In this view, the constitutional Habsburgs and Prussians were certainly better than the despotic Russians and Ottomans, while liberal British and French looked even better but dwelled too far away. In a sense, easterners became “westerners by default”. They had to accept themselves and persuade others that they were (and had always been) “Europeans” – not merely in appearance, but also in culture, political values and the whole way of life. The Iron Curtain and Soviet dominance strengthened this feeling, making the issue of national and political liberation identical with “Europeanization”; “returning to the norm” became equivalent to “returning to Europe” (where easterners had presumably always belonged). It was a myth, an “invented tradition”, but like many national myths it became a part of the identity of the easterners. Moreover, this “imagined identity” largely facilitated the abandonment of communism in eastern Europe and eventual integration of many (but not all) eastern European countries into western European institutions. The second part of the question is more complicated. Westerners were always reluctant to make any promises to the easterners and even less inclined to die for remote lands like Danzig, Sudetenland, or close-to-nowhere Abkhazia and Ossetia. They never considered easterners as equals – and rightly so, in most cases. But they had to take some care of them for geopolitical reasons. In a sense, they were “easterners by default”. They had to support these small “semi-barbarian” nations in order to contain much bigger and more “barbarian” rivals even further east. Yet as the Cold War came to an end, security considerations became more or less obsolete. Today, Russia is no longer perceived as a threat; on the contrary, it is broadly believed to be an important ally in fighting the new enemies – radical Islamists and international terrorists. Whoever doubts the reliability and credibility of this new alliance is deemed a staunch Russophobe, a blind nationalist, or a Cold War crusader. 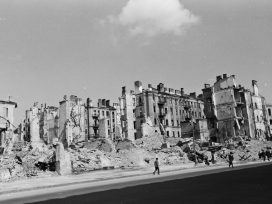 However reluctantly, the westerners have accepted the easterners in their privileged clubs of Nato and the EU – partly to repay the debts incurred by the alleged 1938-1945 “betrayals”, partly to meet expectations that rose so high during the Cold War, making a rhetoric about a “free and united Europe” a kind of self-fulfilling prophecy. But as soon as the bills were paid and concessions made, Realpolitik returned to the top of the agenda in western capitals, primarily in Berlin and Paris, but also in Vienna, Rome, Madrid and, of course, Brussels. The recent remark of an EU official puts it clearly: “We must show concern not only for what people think of us in the Western Balkans, but also for what our own voters think.” It basically reiterates Romano Prodi’s famous dictum that the EU cannot offer membership prospects to every country in the world that is in trouble. The westerners, by and large, are right. They have not been building their fortress for all these years only to give it away to aliens. 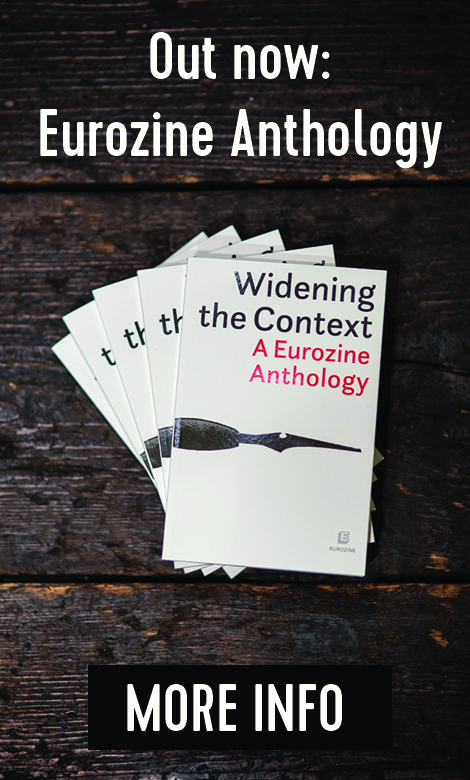 They have been constructing the world-economy (in Wallerstein’s terms) for at least five centuries to ensure the dominance of the centre over the peripheries – and not vice versa. Today, all the Rest can expect from the West are more rewards for good behaviour, more carrot and less stick, more engagement and less containment, more cooperation and less isolation, more “privileged partnership” and less non-privileged ostracizing. But essentially, the system is built too solidly for it to be changed or even challenged – without the total destruction not only of the system, but also of humankind. Ironically, the weakest point of the system is its own ideology – all the liberal principles it arguably has been built upon. The principles that have made the western world so dynamic and flexible, so internationally attractive and domestically legitimate, run against its own interests, mundane needs and practical policies. Imagine what would have happened if four major principles of economic liberalism had been fully and thoroughly implemented: free movement of goods, services, capital and, not least, labour. Even the simple abolishment of tariffs and subsidies applied would decrease westerner’s incomes substantially – far below the level needed to bring down any government. And the free movement of labour would not only introduce true competition (fully in line with the liberal principles of free market), it would also destroy a highly protectionist, discriminative and, in most cases, parasitic welfare system. Western liberalism is a delicious product but mostly for domestic consumption. It is hardly likely that its luminous principles will be ever be implemented, consequently and coherently, in international politics or economy. Away from home, they can be applied only selectively, according to practical expediency. Internally, the West is driven mostly by principles, but externally – mostly by interests. This creates a profound discrepancy between liberal values and illiberal practices. The very idea of liberalism is thereby undermined, discredited as a merely “western trickery” and machination. The West is accused, not unduly, of hypocrisy, cynicism and double standards. It also makes westerners susceptible to all sorts of compromises. It forces them to make concessions. As soon as easterners manage to meet some criteria and can no longer be disqualified as non-liberal and non-democratic, they are in a strong position to demand equal treatment, including full and thorough application of liberal principles in mutual relations. And here is probably the answer to the second half of the initial question. Even if the West makes no promises and undertakes no obligations vis-à-vis the Rest, the very principles upon which it is built suggest some obligations and some responsibility. The western world, with its multiple institutions, is often and reasonably defined as a “community of values”. This means a shared respect for human rights, civic freedoms, the rule of law, democratic procedures and institutions, social welfare, peaceful resolution of conflicts, and many more. All these values are deemed universal, i.e. applicable and desirable internationally, corresponding to the nature of human beings. The West has a humanistic mission to promote and, if necessary, protect these values worldwide. This means sharing knowledge, supporting NGOs, assisting compliant governments and penalizing non-compliant ones, and providing all kinds of help to the persecuted and imposing all kinds of sanctions on their tormentors. There is no major disagreement today about the values but a lot of discord about their applicability. The pragmatic approach suggests that the values cannot be exported wholesale anywhere. Rather, local peculiarities should be carefully accounted for, as should the capacities of those in the West promoting the values. This is where the Realpolitik comes in and where multiple ambiguities begin. For, neither capacities nor peculiarities can be strictly defined, nor can a precise costs-and-benefits balance be drawn up. This creates a huge scope for speculation, equivocation and overt demagoguery. In the same year, the United States established diplomatic relations with Russia – even though, like the British, they knew pretty well about the genocide, organized by the Soviet regime in what they called “southern Russia”. The desire to trade, “even with cannibals”, was irresistible. By and large, this desire is as strong today as ever, or even stronger. Business interests rather than human values dominate the agenda of western relations with Russia, China, or any other “rogue” state. In this view, the Molotov-Ribbentrop agreement was not a unique deviation, a twist of history, but rather a typical albeit dreadful pathology of European Realpolitik, a grotesque mirror image of the many agreements and compromises with the “cannibals” made by western democracies long before and since. Little surprise that in today’s Russia, the Molotov-Ribbentrop agreement is downplayed, justified as a mere response to the Munich agreement and to western perfidiousness and intrigue generally. By the same token, the invasion of Russian troops in Georgia is compared to Nato’s operation in the former Yugoslavia, while unilateral recognition of Ossetia and Abkhazia is modelled on the “similar” recognition of Kosovo. Whatever dubious things westerners do in good faith, the rogue regimes mimic and use as precedents, in the most sinister and caricatured ways. A recent decision of the new US administration to “reset” their relations with the Kremlin, and similar decisions by the EU and Nato to resume business as usual with the Russians, who are still occupying Georgian territories, made many eastern Europeans shiver. 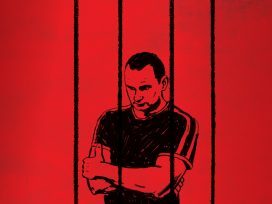 They are reluctant to buy, at face value, the clumsy western argument that disagreement with Russia on some issues should not preclude cooperation in others.2 If westerners wish to believe that the KGB will really cooperate with them on Iran and elsewhere, rather than cheat them again and again, as has happened many times in history – that’s their business.3 But westerners’ tendency to interpret Russian aggression against a sovereign state and the lasting occupation of its territories as a minor misdeed and subject for partial disagreement is really worrying. It could easily be interpreted in Kremlin that cooperation on Iran and the Middle East is the only thing that matters. Having such a trump card, they would barely give it up. What is most likely is that they will skilfully bluff rather than cooperate. If westerners wish to be fooled about Iran, easterners need not care. The desire to find a “democratic soul” in the snake eyes of KGB agents might be merely a western obsession. But the weird policy of “cooperation on some issues despite disagreement on others” could have grim consequences. The Kremlin elite is highly opportunistic and knows perfectly where the red line runs. They would never invade Berlin or Vienna or even Helsinki, because they understand that no cooperation on Iran would spare them from retaliation. But they might try Ukraine, which is certainly beyond the red line, and then, who knows, maybe Latvia and Estonia – to “protect” Russian minorities there. Then, since there would be no more western politicians on the board of Gazprom, they might even teach Poland a “lesson”, provoking thus another disagreement with the EU and Nato – one that would not, however, preclude cooperation in other areas. All this may look fantastic, but so far the Kremlin has been very skilful in pushing the red line further, while the West remains disunited and impotent in the face of Russian bluff and blackmail, demagoguery and corruption. Easterners’ anxiety about the “Russian threat” might be exaggerated, but it is firmly based on their past experience – both with aggressive, imperial, hyper-nationalistic Russia and, alas, with the ambiguous, feckless and equivocal West. 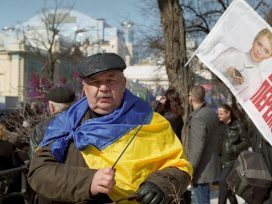 Ukrainians, who were left in the cold after the “big bang” of EU and Nato enlargement, feel especially uncomfortable at the “new Russian assertiveness” and a western policy of appeasement. They have good reason to listen not only to the diplomatic curtseys of western leaders, but also to the various political jokers likely to express the basic feelings of their bosses and the public much more sincerely. A specialist may find a lot of flaws in this kind of argumentation, based as it is on uncritically accepted Russian historical myths. Actually, most (but still not all) of Ukraine was incorporated into the Russian empire only by the end of the eighteenth century. Until then, it had evolved within the cultural and political framework of the Polish-Lithuanian Commonwealth (aristocratic republic), which had little if any “natural affinity” with the medieval Muscovy that evolved under the auspices of Golden Horde (oriental despotism). 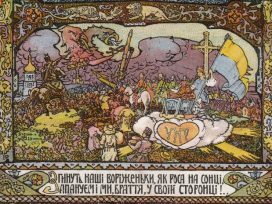 Orthodox Christianity, inter alia, has never been made the state religion in Ukraine, unlike in Russia, and therefore it has played substantially different role in Ukrainian society. Today, Ukraine (unlike Russia) does not privilege any church as “traditional” and does not discriminate against any churches deemed “non-traditional”. The Russian Orthodox Church is the biggest in Ukraine in terms of parishes (inherited from the old regime that eliminated all other churches), but not in terms of popular support. It has to fight for believers’ souls with two Ukrainian Orthodox Churches, a Catholic and a Greek-Catholic (Uniate) Church, and various brands of Protestantism, who are free to proselytize in Ukraine (again, unlike in Russia). If all these values, that post-Orange Ukraine has been gradually and painstakingly acquiring, are less important than some mythical historical “affinity”, let us detach Orthodox Greece, Bulgaria and Romania from Europe and put them, with Ukraine, into a Russian bag – with the naive (to put it mildly) hope of placing “European integration on firm footing”. Cynicism, a.k.a. Realpolitik, reigns supreme in western capitals today. Fortunately, however, there are still sober voices daring to recall that placing interests over values is self-defeating. This may bring temporary advantages, but ultimately will heavily damage western authority and influence. The ongoing global economic crisis might be not the best time for wise decisions. But wrong decisions would certainly amplify the crisis – and, for better or worse, Ukraine seems to be in its European epicentre. Quoted in M.Carynnyk, L.Luciuk, and B.Kordan (eds. ), The Foreign Office and the Famine: British Documents on Ukraine and the Great Famine of 1932-1933, Kingston: Limestone Press 1988, 397. According to Tody Judt in a recent interview, "Despite the Cold War -- to some extent because of it -- western Europeans are much less worried about Russia, think much less of Russia as a threat, see it as much less of a problem, than Russia's former colonies or neighbors, and that's crucial. It's very hard for your Polish or Ukrainian listeners to understand because it seems bizarre and absurd. But it's true. And it's above all true for Germany. Most Germans, particular west Germans, look upon Russia as a natural, implicit colleague in any collaboration for European stability. This is an old story; it goes back to the 1880s and 1890s. You have two large, well-established historic powers -- economic powers, strategic powers, German-speaking central Europe and Russia, on Europe's eastern fringes, and in between that you have lots and lots of territories and lands and peoples, and languages and religions and ethnic groups, which both [Russia and Germany] have historically regarded as colonial territory. And that colonial territory is no longer thought of that way. But some of the attitudes -- historical attitudes -- remain. So the first thing to recall is that when the English or the Germans, or the Spanish, and certainly the French, think about Russia, they think of it as a country 'to deal with' on more or less equal terms. But not as a threat." "Dreaming about Washington is one of eastern Europe's great mistakes", RFE/RL Newsline, 1 October 2009. Luckily, not all the Westerners are duped by Russian promises. As an American expert rightly remarks, "it is imperative for Russia that Iran does not normalize relations with the United States. If Tehran ever reconciled with Washington, thus allowing Iranian gas to fill the Nabucco pipeline, Moscow would lose its trump card in world politics." Stephen Blank, "Moscow and Baku: For Our Mutual Benefit", Transitions Online, 1 April 2009. Spengler, Asia Times, August 19, 2008. Nicolai Petro, "Recasting Ukraine's identity?" Open Democracy, 30 January 2009; www.opendemocracy.net. C.f. Valery Giscard d'Estaing's statement based on the same argumentation: "A part of Ukraine does, indeed, have a European character -- these are the lands that had belonged to Poland and, earlier, to the Polish-Lithuanian Commonwealth. But the territories behind the Dnieper River and those to the south have a Russian character. Those lands cannot belong to the European Union as long as Russia is not admitted to the EU." Rzeczpospolita, 26/27 November 2005. See, e.g., Chrystia Freeland, "Russia's free media find a haven in Ukraine", Financial Times, 11.7.2009; Oleg Panfilov, "Russia: One-Way Tickets", Transitions Online, 22.9.2009.